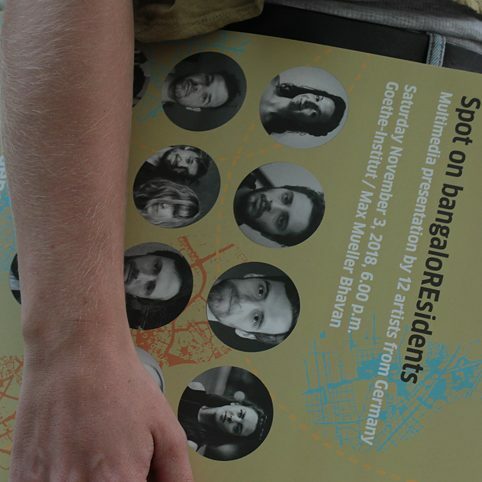 Every year, we invite artists from Germany to live and work in Bangalore for one or two months, collaborating with our local cultural partners on exciting artistic projects. In 2018 we have 11 artists, located at 9 different host organisations. impREssions, an 8-part series, documents their stint in Bangalore, beginning with a week-long orientation programme, continuing with intensive exchange with their hosts and local artists, and ending with a final public showing. Watch this space for fresh impREssions of the bangaloREsidency 2018! The last week of the bangaloREsidency gave our artists the opportunity to finally be the spirited gallery hoppers that they are. 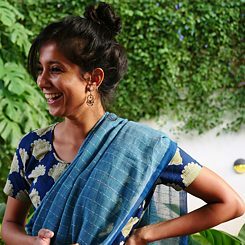 Quietly working behind the scenes, this year’s bangaloREsidency interns spill the beans on what it’s like to be an official “buddy”. Choreographer Lina Gómez shares the process of creating with students, rather than simply teaching them. Wander through a dazzling collage of Benjamin Brix's journey from Bangalore to the sea. Listen to composer Carlos Andrés Rico collect the sounds of Bangalore and add new ones to the city. The bangaloREsidency is as much a programme for local hosts and artists as it is for the residents. We caught up with Poonam Bir Kasturi heading Daily Dump and Archana Prasad who heads Jaaga DNA to know their thoughts on the residency. After a few days in Bangalore, it was time for the bangaloREsidents to tell Bangaloreans what they hope to work on during their stay and what kinds of inputs they are seeking from locals. Spot on bangaloREsidents, an evening of presentations by the residents, was an opportunity for them to connect with Bangalore’s community of artists. On a predictably pleasant Sunday, twelve Germans descended upon Bangalore. Jet-lagged and half-dazed, they trickled into the Goethe Institut / Max Mueller Bhavan to officially begin the bangaloREsidency 2018. © Lekha Naidu Poorna Swami is a freelance choreographer, dancer, and writer. She writes on arts, culture, literature, and politics. Her essays, criticism, and reportage have appeared in publications such as The Caravan, Open Magazine, Mint-Lounge, The Hindu BLink, and Words Without Borders. She lives in Bangalore.